Over the next ten years China is predicted to be one of the major smart grid markets. This is not only because of the country’s rapid economic growth but also because of the vigorous promotion of the government’s energy policy. 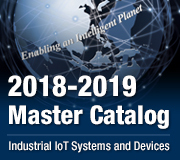 According to China’s master plan, the massive smart grid plans aim to improve the efficiency of the existing electricity grid, manage power demand so as to: avoid outages and overloads, expand the grid to provide electricity to rural areas, and connect the power-generating facilities in the barren west of the country to the heavily populated east coast. As a result, the traditional substation system, which is the key building block of smart grid,is unable to meet such control and monitoring requirements. 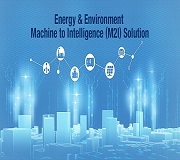 In order to improve efficiency and ensure secure operation, a new intelligent system with robust computing platforms has become critical in maximizing the performance of existing assets and making the grid more resilient against disruptions. A typical smart substation consists of three levels. The substation level, which is located in a shielded control room, provides an overview of the whole network by using a workstation, master and backup computers, and GPS receiver. The intermediate layer (bay level) conducts maintenance work to link upper and lower levels as well as controlling IEDs (Intelligent Electronic Devices) andtransducers in the process level. The process level is close to the switchyard equipment and is responsible for data acquisition. Based on this multi-tier architecture, our system integrator planed to upgrade its original monitoring system to a smart substation. Therefore, the new computer for the substation automation system needed to offer various serial ports and network interfaces to meet the special requirements of the IED acquisition and support the Linux operating system upon which the system integrator’s acquisition software is installed, as well as complying with the international standards and gaining the China Electricity Certificate IV Level. 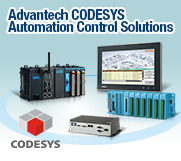 Advantech offers three types of open embedded computers for substation automation: the newly released UNO-4673A computing platform, the robust UNO-4672 computer, and the economical UNO-4671A, which allowed the system integrator to design the most optimal solution for the control and monitoring systems. These substation computers feature high-performance Intel’s CPU, a wide range of communication interfaces such as the isolated serial port, LAN port, and PCI-104 extension slot, which allow Advantech’s substation computers tobe flexible, so they can be used as controllers in bay level or as supervisory devices in substations. These substation computers are also compliant with the hardware requirements of the international IEC 61850-3 and IEEE 1613, standards of network and system communicationsin power substations, as well as passing the China Electricity Certificate IV level to meet the Chinese government’s provisions. They also have the dual power AC (100~240VAC) and DC input (106~250VDC) to ensure the uninterrupted and reliable operation, and support Windows XP Embedded, Windows 2000/XP, Windows CE 6.0, and Linux OS making the users to choose from many different operating system options. 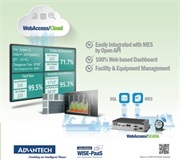 With the above-mentioned features, Advantech’s substation computers UNO-4600 series not only provide open architecture for power & energy applications but can also serve as an excellent gateway, controller or protocol server at substations. 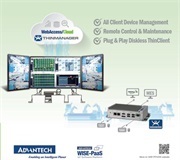 As China increasingly embraces energy efficiency and clean energy, Advantech believes that thereliability and flexibility of our devices enable the system integrators to be in an excellent position to take the lead in providing tailor-made solutions for the further development of smart electrical systems.